Learn how to make your own Website. In fact while you are training, you are making your first website. No previous experience is required to learn how to make websites as we teach you from scratch. It is absolutely true that people do not trust businesses that do not have a website. Did you know that for as little as R5300 you can learn how to develop websites? Now that you know how little it costs to learn how to develop websites, can you still afford not to have a website of your own? With a website you are exposing your business to thousands of potential customers around the clock. 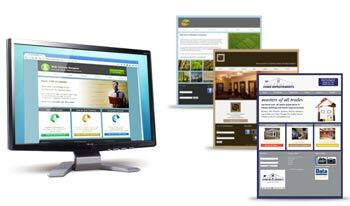 We can provide you with the skills to make your own website during an intensive 2 Day website training course. If you run your own business and do not have a business website, you are definitely losing a lot of clients who are searching for your products or services on the internet. A website is a must have if you want to succeed in business. Losing business, that could have been yours, can have a serious negative impact on your pocket and your business. If you want to make money on the internet we can teach you how to make your own website and websites for others. 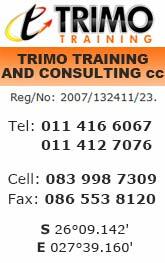 Website Design Training Course in Randfontein. Course Dates: 20 - 21 May OR 17 - 18 June 2019. You will need to attend our web design course in Randfontein, Johannesburg starting at 9 in the morning and finishing around 3 to 4 in the afternoon. The cost of the course is only Five Thousand Three Hundred Rand and the duration of the course is 2 days. Customers are constantly searching the internet for information. If you do not have your own website how will people find you on the internet? How can they support your business if your website cannot be found? Learn how to make your own Website today! Be smart and learn how to develop and maintain your own website. If you develop and maintain your own website, you have full control. This means you can change anything on your website as you please without having to hire someone else to do it for you. You can even start a web design business making extra money in the process. Equipment needed: You only need a computer, a room to work in and internet access to start making websites. Our Website design training course is very affordable and you will learn how to build your own website from scratch. We will even provide you with a resource CD for free. The website design course will take you step-by-step through the construction of a complete website. It doesn’t matter if you’re an absolute beginner; you have the potential to design and implement your own professional and fully functional website. If you would like to have your own website that you have full control over, including the ability to add, edit and delete content from the website then this course is for you. Whether it is from home or at the office, you will be able to access and work on the website from any computer. All you have to do is follow the instructions presented to you during the training course step-by-step. - Make websites and publish them on the Internet. - Start your own website making business. Everything you need to be up and running with your own website making business is contained in our Website Design Course. You receive a manual and a certificate of completion after completing the course as well as support. Remember, nothing happens if you do not take the first step. Apply for the 2 Day Webdesign Course, only R5300 per person.